Pickup from Centara Ras Fushi, North Male’Atoll, headed up north-west about 20 mins out. First catch was unlucky with a good size Red Snapper. 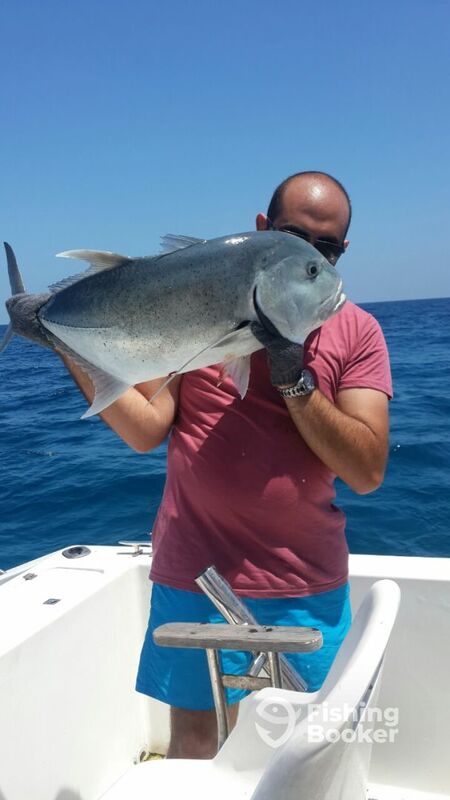 However, after a while got lucky with 2 giant trevally, good fight. 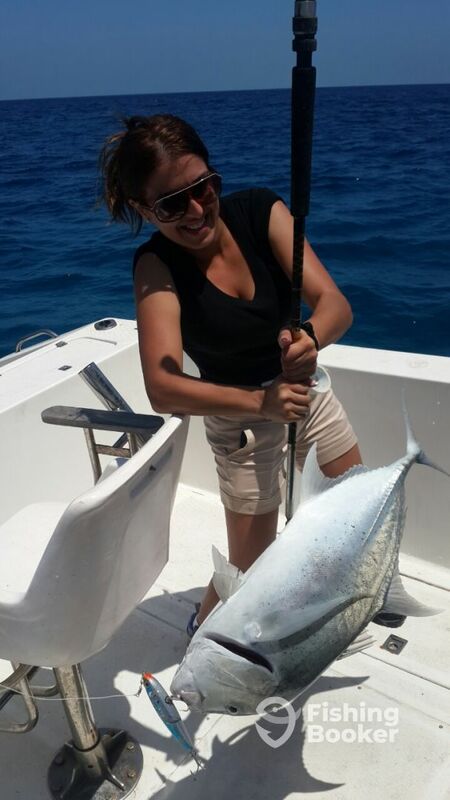 Clients were happy to have spend some good time fishing in the Maldives. I am from a local family who has been exposed to fishing since 8 years of age. 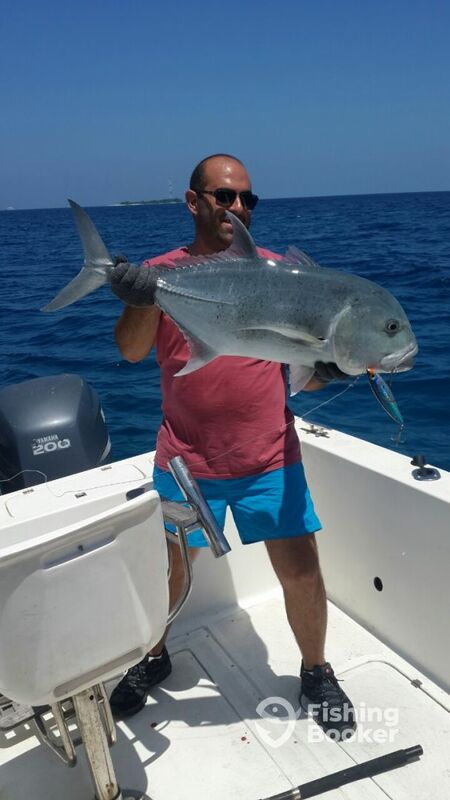 My father became my inspiration to start operating on fishing charters in the Maldives. Today we have 2 vessels operating within the Maldives and 3rd vessel, Fishing Dhoni is getting ready by end of March 2015. Hoping to provide better night fishing and live bait fishing in Vaavu Atoll.